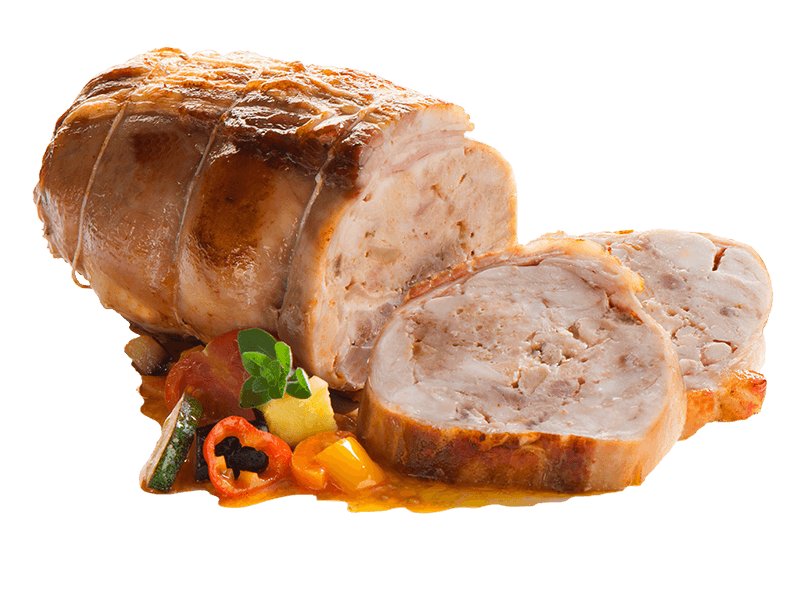 Roasted rabbit stuffed with porcini mushrooms and wrapped in a slice of pork bacon. 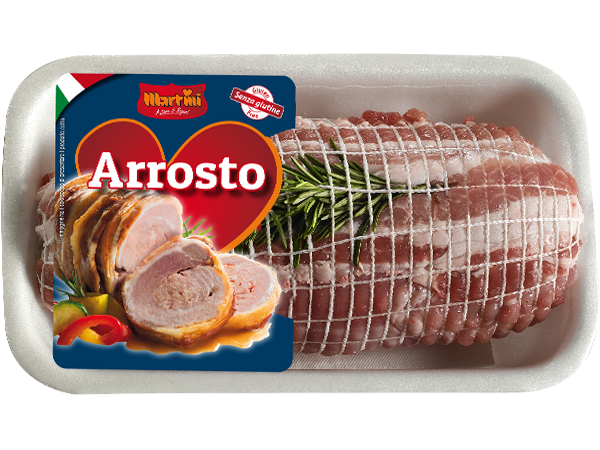 Rabbit meat (81%), pork bacon, porcini mushrooms (2%), salt, breadcrumbs (plain soft wheat flour, brewer's yeast, salt) rosemary, sugars: dextrose, sucrose, antioxidant: E300, E301, acidity regulator: E331, herbs. It may contain traces of milk.